In a new interview with Esquire, James Bond and Batman stunt double Bobby Holland Hanton talked a bit about doubling both Daniel Craig (in Quantum of Solace, and for a little Skyfall work) and Christian Bale (for The Dark Knight Rises). Among the revelations? Other than a cable to keep him from actually dying, there wasn't much difference between what fans saw onscreen and what was actually happening as Hanton scrambled up the wall of Bane's prison. 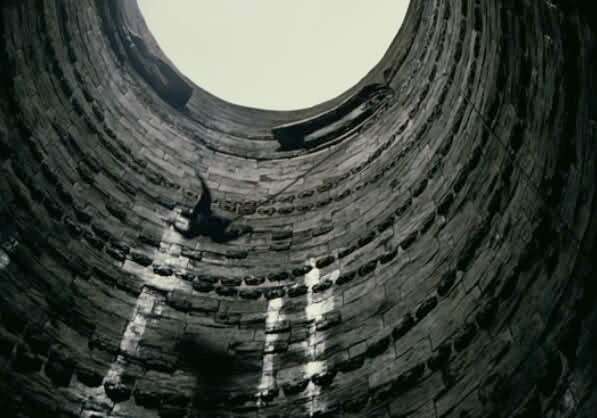 "In The Dark Knight Rises, when I was climbing out of the prison in India [as Bruce Wayne], there are a couple of times that he tries to jump out and doesn't quite make it. It was a 100-foot freefall on a cable that was a slack line, which smacked me into a wall. That was pretty alarming," Hanton admitted. "For me, it's the adrenaline rush and the fact that this is pretty ballsy. It's what I get a kick out of. Without that, I would be a little bit lost, I think." It's not clear whether he means to suggest that the film's prison is in India. While Bane was South American in the comics, there has been some question about the location of the prison, since Bruce Wayne didn't seem to have time to travel from another country and still get back in time for the movie's climax to make sense, pacing-wise. Later in the interview, when asked what fans might not expect to learn about his job, Hanton again referenced that painful stone wall: "Things can hurt and play on you," he told the magazine. "If I'm getting smashed into a wall, I jam my arm or whatever, and the next day I'm hitting the same exact point, people don't realize — you only see it once. But you do it six, seven, maybe ten times. It takes a while to get over that. It becomes very difficult. It takes time to repair." As to why he stepped back and did less work on Skyfall, after having been the go-to Bond double in the past? Well, he blames that on Batman, too. "I was working on The Dark Knight Rises when Skyfall started," Hanton explained, "so I didn't have the chance to start at the beginning. It was kind of a step back as a stunt performer since I wasn't doubling Daniel. I gained a lot of size to be in the Bat-suit to double Christian Bale. So I wasn't the right-sized double for Daniel this time around."